A few years ago, I was speaking on the phone to a friend of mine who was in a bishopric in another state and he asked me what calling in the Church I was currently serving. I enthusiastically answered, “I have the best calling in the ward; I am the ward mission leader!” There was a long, awkward pause, and then my friend responded with, “So, when do you think you are going to have an important calling?”! It is no surprise to anybody to know that there are people in the world who measure their success by the type of position they currently have in the Church. It is “the nature and disposition of almost all men” (D&C 121:39) to have temporal ambitions. It reminds me a lot of the man who had an assignment to serve as a Sunday School teacher but decided that particular calling wasn’t enough for him. He wanted to be the Sunday School president. Then, and only then, would he be truly happy! Once he became the Sunday School president, he would only be satisfied with becoming the elders quorum president. Then, and only then, would he be happy! Once he became the elders quorum president, he wanted to be in the bishopric! Where does this process end? What we really need to do, if we are sincere in our desire to serve the Lord to the best of our ability, is to pray for the gifts of the Spirit rather than seek office. This may be more difficult than it sounds because the gifts of the Spirit are generally invisible to others. In a world that values titles, positions and notoriety, it can be very difficult for some people to seek their true spiritual potential rather than someone else’s idea of it. So what can we do about it? How can we overcome this natural and carnal tendency? We are commanded not to ask for or seek for office. Yet nobody seems particularly interested in asking or seeking for gifts, while men constantly plan, scheme, and aspire to office. Afterwards, as I followed up on what that missionary had said to me, I discovered some very interesting facts. He was unproductive. He was bitter toward the mission president because he had never served in a leadership position, and he was what many would consider to be a “troublemaker” in the various areas in which he had been asked to serve. My point is this: Before any type of calling to a leadership position can come, we must first be converted to what it is we are doing. We have to have a testimony! We need to be an example of the believers (see 1 Tim. 4:12). We need to be humble, meek, and submissive to the spirit and earnestly striving to put off the natural man (see Mosiah 3:19). We believe that this is a Church that is led by true revelation. The Lord will not make His intentions known to people in responsible positions who are not first doing the things they are supposed to be doing and who are not truly converted to the gospel. James Allen has written in his book As a Man Thinketh that essentially spiritual accomplishments are literally the end result of holy aspirations. What do we think about when we have idle time or just opportunities to think? Elder M. Russell Ballard gives some very helpful advice about first showing the Lord that He can trust us in whatever circumstances or trials we are in. These are his words. A friend once told me that the Lord does not choose the qualified, He qualifies the chosen. I have found this to be very true. One of the most important things we can do in this life is to show the Lord that He can trust us in any situation. In a revelation to the Prophet Joseph Smith, the Lord said “Remember the worth of souls is great in the sight of God” (D&C 18:10). We can help people to understand that worth through teaching. Spiritual education is a very difficult thing to achieve and to develop. But principles like the one Elder Bruce R. McConkie is writing about in his book Mormon Doctrine take some time to accomplish! This development does not make you any better than the person you lead, nor does it make you any better than anybody else. As a matter of fact, I believe spirituality is not an office. I do not believe that faith is an office one can hold. Wisdom is not an office. These are all gifts given to us by a loving Father in Heaven, but in order for us to be able to use these gifts we first need to develop them. I call these gifts from our Father in Heaven “attributes of godliness.” I do not believe that these attributes are entirely contingent upon calls to serve. I do not believe that they are associated with age. Spiritual strengths and the gifts from our Father in Heaven come from doing works of righteousness, not from watching about the acts of others! Remember, in the Bible, one of the books in the New Testament is called the “Acts of the Apostles” not the resolutions of the Apostles! In my opinion, the quality in life that is most often faked is spirituality. It is easy to give out appearances that you’re spiritual, but remember, bishops and stake presidents are blessed with the gift and power of discernment. You may be able to fool them for a time, but eventually they will know the truth. Most of us will never serve in these positions, but that fact can’t stop us from leading righteous lives and qualifying for the most important position—the one on the right hand of the Father. The work that we do in our homes will affect generations! Most of us will serve out our lives in quiet faithfulness often with very little worldly recognition. That does not mean that we are not capable of serving in these positions. I spoke with a stake president once who said that, while he was younger, the Spirit whispered to him, saying he was going to be called to be the bishop when the ward reorganized. This scared him and made him reinvestigate his thoughts. Again after much prayer, the quiet whisperings of the Spirit confirmed that he would indeed be called to be the bishop. So, following through on that confirmation, he sought heavenly guidance and chose the people he wanted to appoint as counselors. The problem was that the call never came, and another priesthood holder from the ward was called to be the bishop. Why do you suppose that this worthy priesthood bearer who was told that he would be the bishop was not called? This confused him because he had always considered himself knowledgeable in recognizing the promptings of the Spirit. His Church credentials were impeccable! He was a returned missionary, he had been married in the temple, and he had a valiant testimony of the gospel. He was living worthy of his priesthood. He was a seasoned leader familiar with the promptings of the Spirit. What had gone wrong? The answer came to him, slowly, but eventually. It occurred to him one day that maybe the Lord was telling him that if the call were to come to him to serve as bishop, that he would be worthy in every regard to have accepted the calling. In fact, the Lord was pouring out His love upon him! After coming to this insight, the Spirit bore witness to my friend of his personal worthiness and he was able to move on. The call to serve as a bishop did come eventually, just not in the time or place he had thought. My friend learned the importance of always keeping yourself worthy and continuing to serve the Lord regardless of your position. President Howard W. Hunter said this in his teachings: “We should be willing to serve and grow quietly. If you feel that much of what you do this year or in the years to come does not make you very famous, take heart. Most of the best people who ever lived weren't very famous either. Serve and grow, faithfully and quietly. Be on guard regarding the praise of men” (The Teachings of Howard W. Hunter, ed. Clyde J. Williams [Salt Lake City: Bookcraft, 1997], 67). A few years ago, I discovered the following diagram written on a whiteboard, almost as if somebody had been brainstorming. To me, it clearly explained the huge chasm that exists between means and motives. One path is clearly the Lord’s way; the other path is the way Satan would endorse. Let me illustrate. As I understand this, Christ’s motive is God’s glory. His intention is to save all souls through individual free agency. Conversely, Satan’s motive is himself. He wanted to save all souls through force and manipulation. As I read this on the board, I asked myself if my motives were pure, as Christ’s, and if I performed my duties to seek God’s glory or if my motives were selfish and for my own gratification. It is important to ask yourself if you are doing things to be seen of men or to further the kingdom of God. Another issue one needs to consider about positions of leadership, whether they are in the Church or outside it, is the attached spotlight or the constant public adoration and scrutiny that comes with high position. Did you ever think that maybe somebody quite capable was never called to lofty position because that brother or sister could not handle the spotlight? Can the Lord love someone so much that He wants to protect him or her from that attention? Truly, only the Lord can answer this question. But this, to me, is powerful testimony that this Church is indeed run by revelation because this is the Lord’s Church. He, and He alone, chooses His leaders at the time He feels they are ready. He will choose them according to His timetable and not ours. It really doesn’t matter how well connected a person is, how sharply he or she dresses, how well he or she speaks in public, how well he or she is groomed, or even how well he or she builds connections. Only the Lord makes the decision! In the scriptures we read that “[t]he Lord said unto Samuel, Look not on his countenance, or on the height of his stature; because I have refused him: for the Lord seeth not as man seeth; for man looketh on the outward appearance, but the Lord looketh on the heart” (1 Samuel 16:7). Isn’t it nice to know that, with God, we don’t have to worry about the superficial issues? Elder Neal A. Maxwell, with his usual flair in the English language, warned against seeking after the “spotlight of adulation” when he said, “When we learn to shine as lights in the world (Philip. 2:15) there is no need to seek to be in the spotlight. Such lesser incandescence is of no interest” (Men and Women of Christ [Salt Lake City: Bookcraft, 1991], 28). He’s also quoted as saying that “[t]he world’s spotlights are not only fleeting, but they employ inferior light!” (Cory H. Maxwell, ed., The Neal A. Maxwell Quote Book [Salt Lake City: Bookcraft, 1997], 160). One way to avoid this “spotlight of adulation” is to literally lose ourselves in performing service for others. This way, we become more concerned about other people’s well-being rather than our own. Service to others is the medicine to take if we are feeling a little too much pride or if we need to get our Christlike humility back. Have you ever noticed how addicting service can be? Next time you perform some sort of service to others without the intent of being rewarded, take account of how you feel at that very moment. You’ll want to do it again! Some of the best stories come from trying to do service to others without being caught! Delivering a dinner, mowing someone’s lawn, washing another’s car. The list is endless. These examples are great service projects to do for family home evenings, ones in which everyone can participate, regardless of age. I had a missionary companion once who made a personal goal to do something for someone else every day of his mission. Late one day, after traveling for some time to get to a particular area, my companion began getting nervous because he had not performed any charitable act that day (in his opinion). While we were driving, he noticed a large box in the middle of the road. He quickly pulled over, snatched the box, broke it down to fit in the car, then drove a little way into town, found a dumpster, and threw the box away. After he had gone through all of this trouble over a box, I asked him why he had done it. He answered, “Just a little bit of service for the day, Elder.” That attitude helped my companion to truly be one of the “noble and great ones” written about in Abraham 3:22, which we will discuss further. Remember, when we change what we believe, we literally change what we do, how we act, and who we are. How grateful I am to be part of an organization that does not petition for position! Popularity will not get you into the celestial kingdom. Complete compliance to the laws and ordinances of the gospel in conjunction with service to others is the key that unlocks the door. Many members of the Church whom I have spoken to have the mistaken idea that in order to receive a call to lead, they must first have been part of that select group of intelligences whom the prophet Abraham saw when he proclaimed, “Now the Lord had shown unto me, Abraham, the intelligences that were organized before the world was; and among all these there were many of the noble and great ones” (Abraham 3:22). Who were the “noble and great ones” that he saw? How can I become one of them? What did they do that was so special? It is my belief that all members of the Church who are true and faithful to the covenants that they have made to the Lord were and are part of this select group. Certainly, some people have been selected in the pre-earth life to fulfill certain stations while in mortality, but we all have an individual purpose that we need to accomplish. We all have an individual mission to finish. When the Lord said, “These I will make my rulers” (Abraham 3:23), what did He mean by that? Could the Lord have been referring to our next life for some of us? Will we be rulers in the celestial kingdom when we are on the right hand of the Father? There is a great lesson to be learned here, as well, with the following points: “Two answers were given: First, ‘Because their hearts are set so much upon the things of this world’…. And second, they ‘…aspire to the honors of men’” (D&C 121:35). (Ibid., 280). Clearly, in order to be considered one of the noble and great, we must be able to do certain things. For example, we know that we have to be obedient to the principles of the gospel. “And we will prove them herewith, to see if they will do all things whatsoever the Lord their God shall command them” (Abraham 3:25). This point is not an option. We must do all things. Not some, not most, but all. This point is nonnegotiable. It is my belief that in order to be a noble and great person we need to do noble and great things. What actions imply these qualities? It can be something as simple as spending more time with your children or taking your spouse out on a date. I don’t believe that doing something noble and great constitutes an earth-shattering event or a monumental change. I believe that it is those simple acts that many times go unnoticed. Think of some of the teachers you have had in the past. Have they had any influence on you? Are you a better person because of them? I submit to you that the greatest and most noble calling we can have in life is that of a parent. There is nothing more noble or great. The influence you have as a parent easily determines the course of your child’s life and ultimate reward. When we think of past heroes, or key players in mortality, inevitably we always think of Moroni, Helaman, Ruth, Mary Magdalene, Alma the Younger or Peter the Apostle. But even though these great people served in key capacities, is there any question about the faithfulness of some of the less visible players in our scriptures? How about Sam, the brother of Nephi? He is mentioned only a very few times in the Book of Mormon, but his faith is evident. What about Abish, the servant to the queen of the Lamanites? Do you suppose that she was part of that noble and great group spoken of in Abraham chapter three? What about a faithful returned missionary? Certainly, his or her loving commitment of spreading the gospel is a noble and great act. 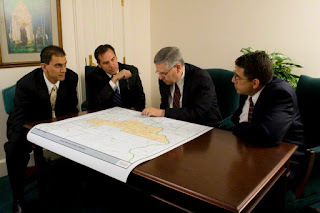 In the Book of Mormon there is an interesting and powerful verse that says, “Now behold, Helaman and his brethren were no less serviceable unto the people than was Moroni; for they did preach the word of God, and they did baptize unto repentance all men whosoever would hearken unto their words” (Alma 48:19; emphasis added). Many times we forget about those people who serve in quiet faithfulness and whose lives are not in the public spotlight. I submit to you that they are “no less serviceable” than any of the key players found in our scriptures. There are many names of faithful Saints that could be mentioned here who live unnoticed by most, but who, because of their righteousness, are much greater than they know. I testify to you that we can all be part of that vast group of noble and great ones spoken of in the Pearl of Great Price. The meaning of serviceability to mankind is simply a matter of understanding and perspective. We don’t need the spotlight to be able to earn all the blessings promised to us in the scriptures. These blessings are promised us not because we are in the spotlight but because we are actively doing the works of righteousness.